Dr. Steven M. Lee ORTHODONTIST B.Sc., B.D.S. [Hons] Syd M.D.Sc. [Qld] F.R.A.C.D.S. This article is sponsored content brought to you by Dr Steven Lee. With dentists continually assessing the market place, in search of growth areas in Dentistry, Orthodontics is becoming an essential component in the future practice of Dentistry. Many practitioners have found some orthodontic courses to be either too commercialised or too theoretical. Considerable experience and expertise are required to handle the full orthodontic procedure and finish cases to a satisfactory standard, a problem which short courses cannot address adequately. Dr Steven Lee’s Comprehensive Orthodontic Programme Australia (C.O.P.) is designed to overcome these shortfalls and to provide you with the skills to confidently diagnose and treat your patients in your general practice. The C.O.P. is based on the University’s Master of Dental Science Programme (Orthodontics) and teaches the Straight Wire Appliance technique, utilising the most advanced MBT prescription. There is a heavy emphasis on Diagnosis and Treatment Planning with well-integrated hands on practical sessions. For more than eight years Dr Lee has conducted the C.O.P. in both Australia and South East Asia. Many dentists have completed the full programme and benefited from this well-structured course with comprehensive lecture notes and excellent clinical presentations. You are invited to enrol in this unique Comprehensive Orthodontic Programme and Dr Lee will guide you through the whole treatment procedure of your patients. Dr Lee completed his Bachelor of Dental Surgery degree with Honors in 1979. 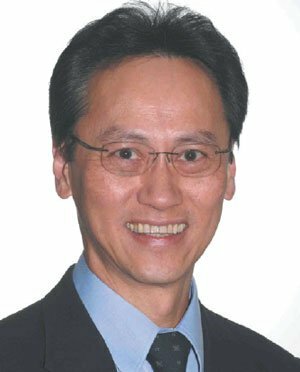 From 1980, Dr Lee was a part-time tutor in the dental faculty, University of Sydney as well as a resident dental officer of Royal Prince Alfred Hospital. In 1982, Dr Lee was one of two successful applicants, being the first interstate applicant, to be selected for the Master of Dental Science postgraduate course in Orthodontics at the University of Queensland. He completed his Master degree in 1983. In 1984 he was admitted as a fellow of the prestigious Royal Australasian College of Dental Surgeons. He was then appointed as a part-time tutor in the Department of Orthodontics, University of Sydney in 1985. In 1995, the University re-appointed him as a Specialist Clinical Associate. He was a consultant Orthodontist to the United Dental Hospital. Dr Lee has lectured at many local and overseas professional meetings. Dr Lee is a member of several professional organisations including the American Association of Orthodontists, Australian Society of Orthodontists and European Orthodontic Society. Over the past decade Dr Lee has successfully conducted numerous orthodontic courses in Australia and South East Asia. Previous articleHow will dentistry evolve in 2019?